Driving around Tacoma you may notice more than the usual number of classic cars. The love of the automobile runs deep here. Tacoma is home to two museums devoted to the automobile and multiple car shows throughout the year. These are due, in large part, to the LeMay family. Harold “Lucky” LeMay, who was voted the least likely to succeed by his high school class, started his garbage company with just one truck. He grew his operation, LeMay Enterprises, into one of the most flourishing businesses in the South Sound region. Fueled by the success of the company, he and his wife Nancy began collecting cars in the 1960s. When Harold LeMay died in 2000, the couple had amassed over 3,000 vehicles—the largest collection of automobiles in the world. 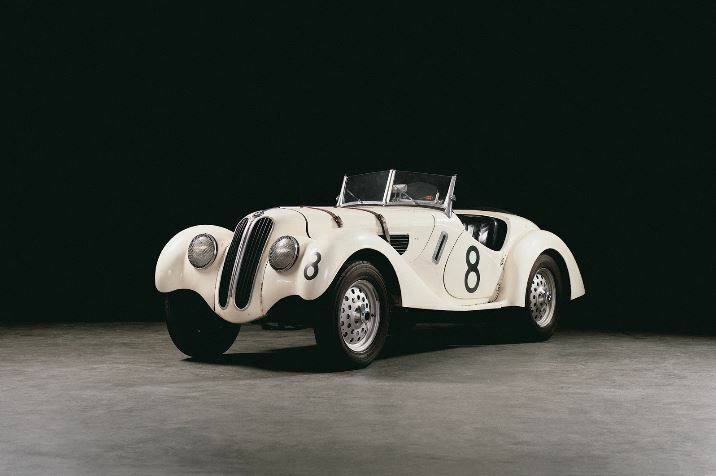 Recognized by many as a national treasure, the collection of cars, motorcycles and trucks spans the 20th century and features virtually every American make, as well as numerous foreign cars. Vehicles weren’t the only things the husband and wife collected. The family rule was that if there was space in a building to store a car, that space would have a car. The nooks in the buildings, however, could be filled with other things. That agreement resulted in a number of smaller collections, such as salt-and-pepper shakers, Americana memorabilia, neon signs, hose nozzles, and over 2,000 dolls. The LeMay Family Collection Foundation was born out of Harold LeMay’s dream of keeping his massive car collection together and in a place where others could appreciate it. In 1996 he began talking about opening a nonprofit museum that would allow the public to see his collection and keep it all together. 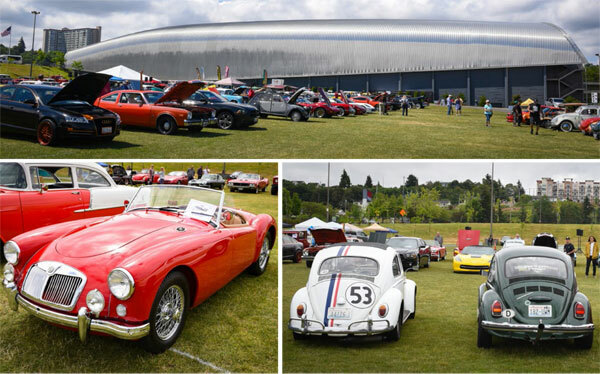 In 2012, LeMay–America’s Car Museum opened in downtown Tacoma, just south of the Tacoma Dome. In addition, hundreds of LeMay’s cars are displayed at the historic 80-acre site of the LeMay Family Collection at Marymount, which opened in 1991. If you are interested in vintage vehicles, you couldn’t come to a better place. LeMay – America’s Car Museum: ACM is the repository for automotive treasures and a gathering place for enthusiasts, with educational programs for all ages, rotating exhibits and events. 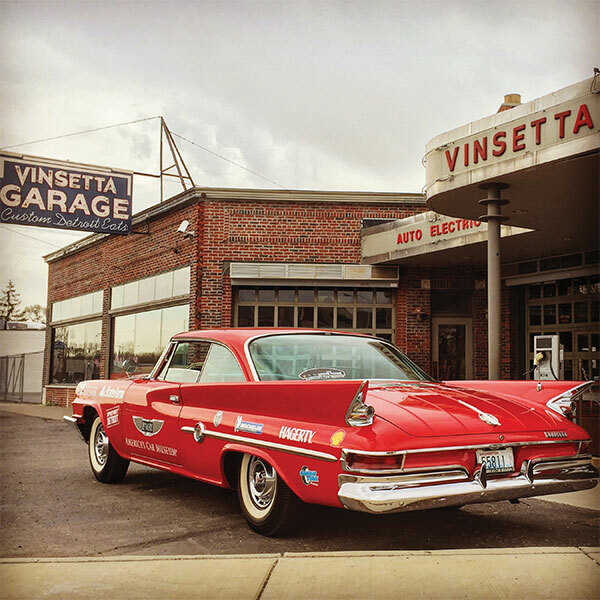 RPM Foundation: Formerly known as the Hagerty Education Program at ACM, the foundation helps accelerate the growth of the next generation of automotive restoration and preservation craftsmen through formal training and mentorship. 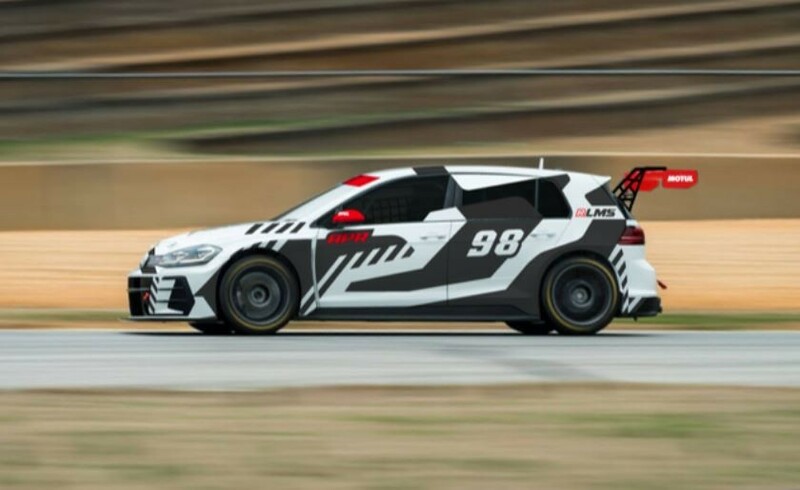 Club Auto: Promoting America’s automotive legacy to a broader audience, Club Auto produces driving days, race events, track days and other activities for enthusiasts of collectible and modern vehicles. 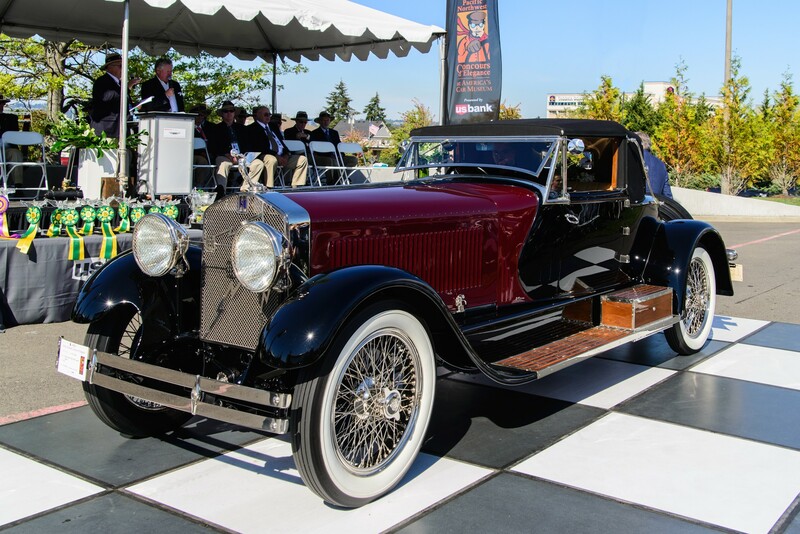 More than One hundred and fifty of the finest vintage automobiles in the U.S. converged upon LeMay – America’s Car Museum (ACM) for the annual Pacific Northwest Concours d ’Elegance. The concours also featured a 100-mile “Tour du Jour” around Puget Sound’s scenic back country. During Saturday evening’s sold-out Dinner d‘Elegance, ACM hosted a charity auction with a 2015 BMW i3, a new electric car donated by Supporting Sponsor BMW Northwest, as its centerpiece. “America’s Car Museum works very hard to preserve the history of the automobile industry and embrace its future and we are proud to participate by providing the all-electric BMW i3 for auction at this event,” said Manfred Scharmach, CEO and president, BMW Northwest. 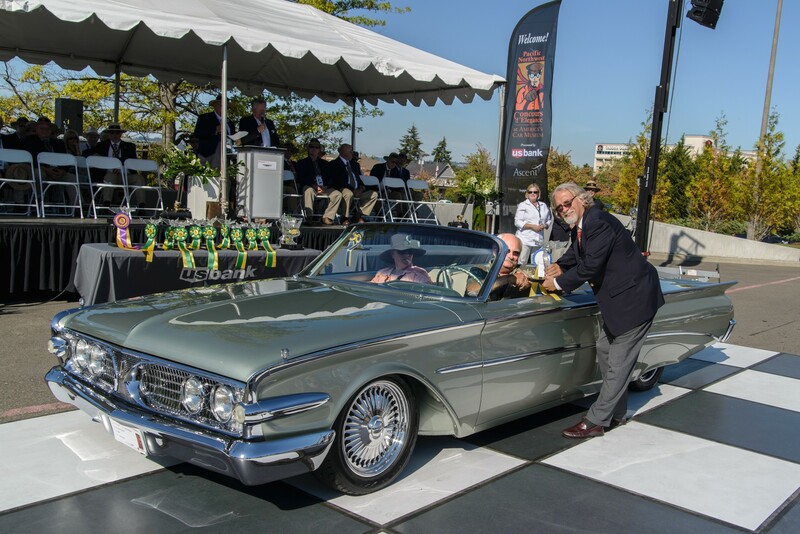 The auction raised funds for the Museum’s Hagerty Education Program which provides scholarships and grants to young people pursuing an education in collector car restoration. The Concours weekend raised $227,446, and its net proceeds will support the Hagerty Education Program at the Museum.